Welcome Home! 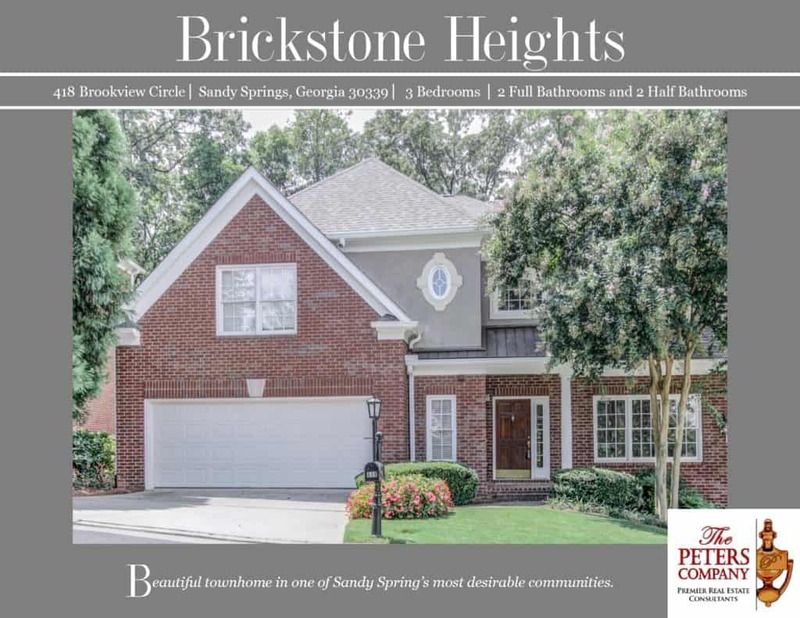 Brickstone Heights is a wonderful gated community in the popular Sandy Springs area. The open floor plan, custom features, and charming character of this home will never go out of style. The close proximity to I-285, I-75, and Powers Ferry Road makes virtually all commutes a breeze. You’ll also have easy access to the other highways, byways, and activities that make this location such a well-loved destination. You will enjoy being close to many favorite restaurants and shopping spots too! Kitchen features ample cabinet space, granite counters, pantry, breakfast bar, and large breakfast area. Spacious family room has a soaring ceiling and cozy gas fireplace. Master suite is a true retreat including a trey ceiling, dual closets, and private master bathroom. Master bathroom features double vanities, jetted tub, and separate shower. Basement provides plenty of additional living and storage space. Garage easily fits two vehicles. Outdoor space includes a large deck that’s ideal for outdoor enjoyment and entertaining. Wonderful community amenities include gated access and a well-maintained pool. Great location convenient to interstates, shopping, and restaurants.